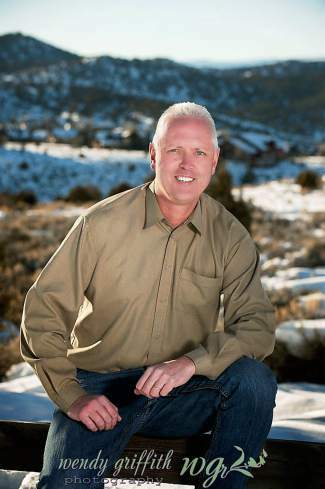 EAGLE COUNTY — Eagle County will elect a new sheriff in November. Eagle County Republicans handed their party’s nomination for sheriff to challenger James van Beek, who challenged incumbent Joe Hoy in Tuesday’s primary. Van Beek garnered 1,337 Republican votes to Hoy’s 890. It’s a turnaround from the general election four years ago when Hoy edged van Beek by 119 votes. 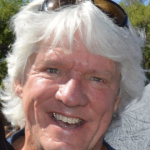 Van Beek now faces Democrat Daric Harvey in the November election. He also tipped his hat to Hoy. “I want to thank Sheriff Hoy for 25 years of service to our community. I want to wish Joe and Linda Hoy the very best,” he said. Hoy has been with the Eagle County law enforcement community for 25 years, and sheriff for 12 of those years. He was running for one more term. “I’m disappointed, but the Republican Party has decided to go with someone else. I respect their decision and Mr. van Beek faces a heckuva challenge,” Hoy said. Hoy will do what he has always done, get back to work. “I’m still sheriff for six more months, and there’s a lot to do,” he said. Van Beek said no matter who wins in November, he’d like to help the Sheriff’s Office and community with the transition. Van Beek has spent much of the past few years building police departments in war-torn Kosovo and Afghanistan. He served three and a half years in Kosovo as part of the United Nations mission. He was a police officer and senior shift supervisor, chief of operations and chief of police in the Kaminicia area on the Serbian/Kosovo border. He spent another four years in Afghanistan doing essentially the same thing. Before that he served four years in the Army. Harvey oversees the Vail Police Department’s operations division. Harvey was formerly with the Osceola County Sheriff’s Department in Central Florida and has more than 18 years of law enforcement experience. He has served as a patrol lieutenant, liaison to the County Division of Emergency Management Emergency Operations Center, homicide detective, SWAT team member, accreditation manager, law enforcement instructor, coordinated research and development projects, and as a watch commander. Harvey earned a bachelor’s degree in criminal justice administration from Columbia College of Missouri.